If you have ever driven down Route 9 in Loudonville, NY you may have noticed a large stretch of road in which every utility pole holds an American flag with a black mourning ribbon. The display can be seen for about four and a half miles and stretches across 120 consecutive utility poles. These flags go beyond your average display of patriotism we see in towns across America; instead, each flag represents roughly 10 Capital Region veterans killed in overseas operations since World War II, according to Operation: Please Remember Me founder Tom Regan. 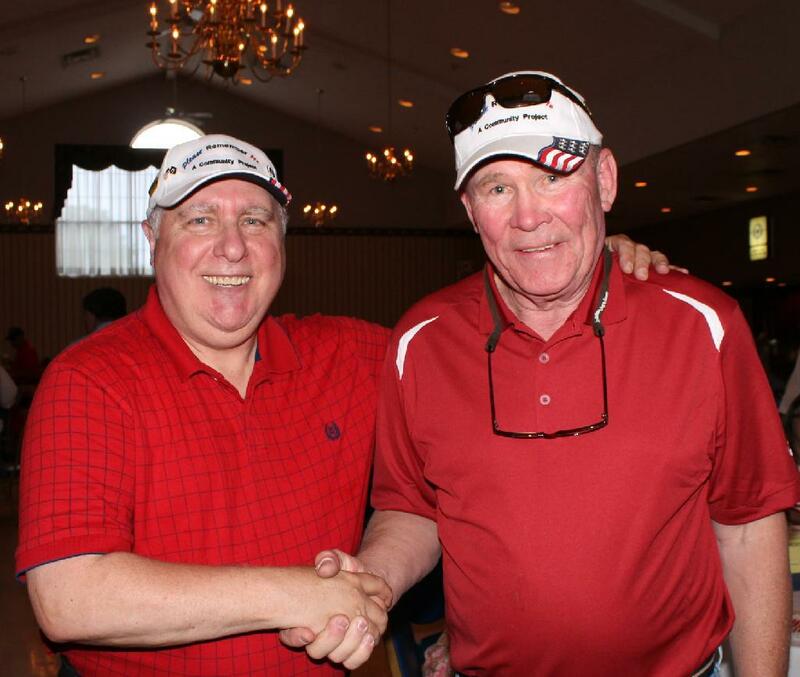 Tom, a Vietnam era Navy veteran who served on the USS Suribachi, founded Please Remember Me along with Air Force veteran Gene Loparco in 2012. 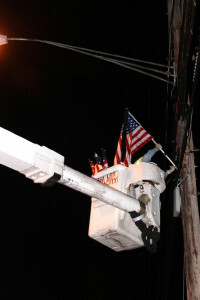 Since its founding, the mission of Please Remember Me has been simple but deeply meaningful; in an effort to honor and remember those from our community who gave everything, an American flag accompanied by a black mourning ribbon would be displayed on each of the 120 utility poles along a stretch of road on Route 9 from Memorial Day until July 4th. When asked why he doesn’t keep the flags up year round, Tom said he wanted them to be special and he wanted people to miss the flags being on display. “The flags should speak for themselves once they’re up,” Tom said. Keeping the flags up for only a limited amount of time gives people the opportunity to reflect on and appreciate the sacrifices of those within our own communities, rather than driving by the same flags everyday and never giving them a second thought. It is a striking experience to drive the four and a half mile stretch once you know that each flag you pass represents ten veterans from the Capital Region who gave the ultimate sacrifice. While Operation: Please Remember Me is Tom’s brainchild, the execution is truly a community effort. Mounting flagpoles onto utility poles requires linemen and equipment. Tom, who has worked as a lineman since leaving the Navy, is able to get many companies to volunteer their equipment and linemen’s time. Since the first year, he has also collaborated with a high school friend, Joe Pollicino through the Tri-County Council of Vietnam Era Veterans. As they started gaining more traction donations began pouring in from the community. Finally, Trustco Bank stepped in and put Please Remember Me over the top allowing Tom’s idea to finally become a reality. The brackets, poles, flags, and mourning ribbons were all purchased from Gettysburg Flag Works. Mourning ribbons, which are displayed on flags that are not able to be displayed at half-staff, are displayed with the flags to acknowledge the sacrifice of the more than 1200 Capital Region veterans who have lost their lives in overseas conflicts. Besides the displays of flags, Tom and Gene as part of Operation: Please Remember Me are also passionate about reaching out to the youth of the Capital District. Tom says their ultimate goal is to get young people to understand the gift they have been given through the sacrifices of others. They often go into local schools to teach kids about Please Remember Me and to give them an understanding of what people have given up for this country, even within their own communities. On Saturday, November 11th, Please Remember Me will be marching in the Albany Veteran’s Day Parade. They are still in need of more volunteers to march with them and carry flags during the parade. If you or someone you know is interested in marching with a great group during the parade, they will be lining up Saturday morning at 10 a.m. For more information, you can reach Tom Regan at 518-229-3182.